This universal tablet case made of polyurethane is suitable for most 9-10" tablets due to its flexible silicone holder that supports the tablet even when it stands. 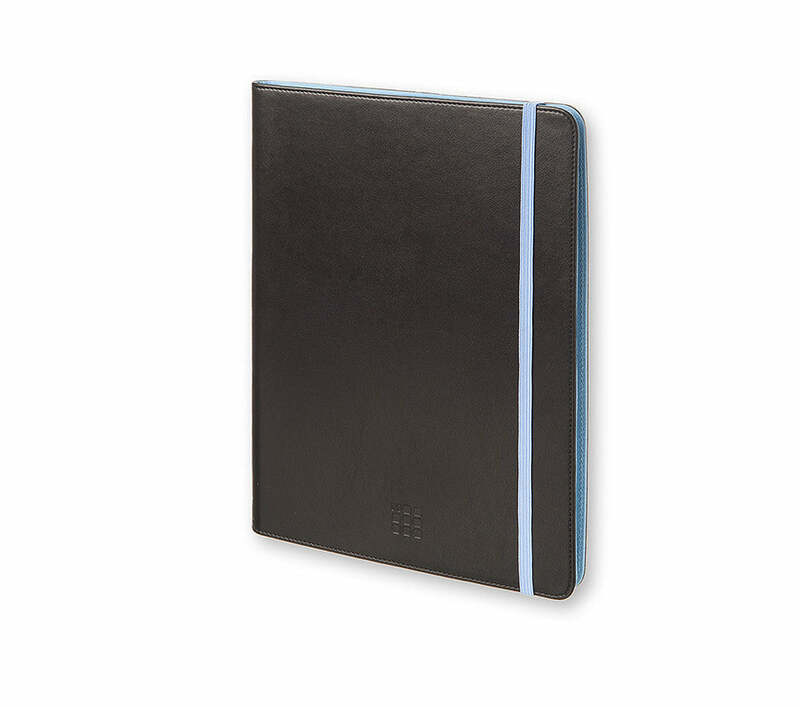 Easily close this tablet case like a Moleskine notebook with its blue elastic band that matches the interior lining. Suitable for: Kindle Fire HD 8.9", Samsung Note 10.1", Samsung Tab 2 10.1", Samsung Tab 3 10.1", Google Nexus 10", iPad Air .